The World's Greatest Bible College! Listen to this short excerpt from a sermon preached by Dr. Hyles just two weeks before Hyles-Anderson College opened it's doors for the first time. It may give you a little idea why our college is unique! 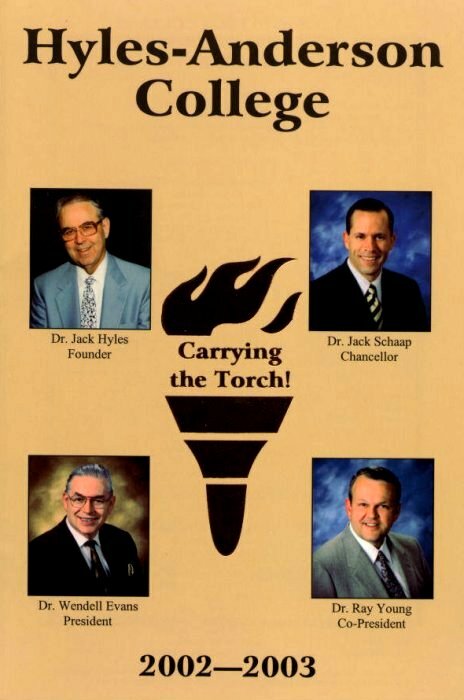 Listen in Real Audio to Dr. Hyles! 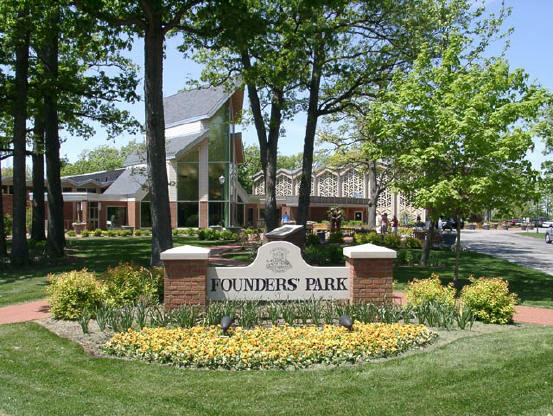 Hyles-Anderson College is the largest independent, fundamental, Baptist college in the world. In our brief 28 year history, we have over 1,000 preachers and missionaries doing great works for God all over the World. Hyles-Anderson College has sent more missionaries to the field than most of the other fundamental schools combined! 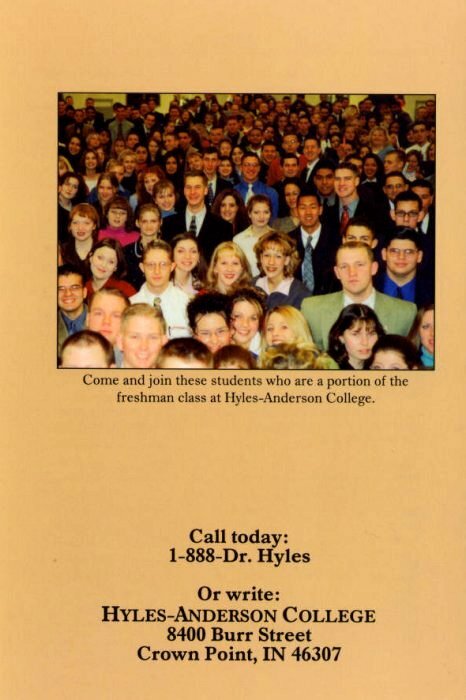 Most of the information below is from the 2002 - 2003 Hyles-Anderson College Catalog. To view larger images, click the picture, click back in your browser to return. Or visit our "official" web site!